Right on cue, the Cupertino tech giant has released watchOS 2 beta 5 for Apple Watch users enrolled in Apple’s Developer Program. The new update brings with it bug fixes and performance enhancements. 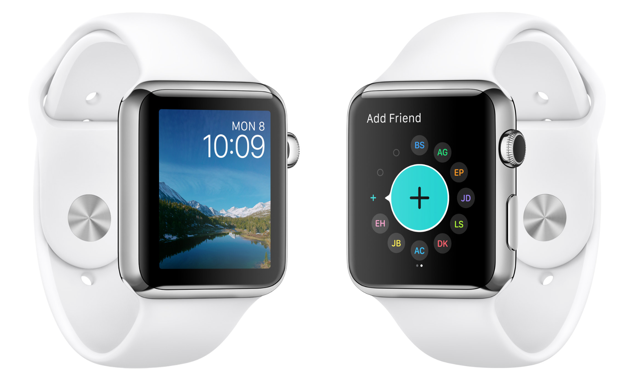 Apart from iOS 9 and OS X 10.11 El Capitan, Apple also announced watchOS 2 for the Apple Watch. The new software for the company’s first ever wearable device brings with it a plethora of much needed features, including something which users and developers had been crying for a long, long time – native apps. WatchOS 2 is set to be released alongside iOS 9 this fall, with beta releases of the software being pushed out every two weeks. And now, we’re sitting on top of beta 5 of watchOS 2, and immediately by looking at the update, it’s safe to say that it’s a bug fix and performance enhancing release, nothing more. If you have watchOS 2 running on your Apple Watch right now, then we recommend that you update your wearable immediately without any sort of hesitation. Simply launch the Watch app on your iPhone, and navigate to General > Software Update. After a few seconds the beta download will pop up, which you can install on your Apple Watch. Before you begin with the installation process, we recommend that you charge your device all the way up to the 100% mark, settings things in stone that nothing would go wrong during the process. It’s also worth mentioning here that watchOS 2 cannot be downgraded, and once you’ve made the leap, you’re stuck on it for good. Of course, you will be subsequently updated to the final build of watchOS 2, but for some reason if you want to go back, you won’t be able to, until or unless you send the Watch in to Apple for downgrading. You’ve been warned! Also, it’s worth mentioning that watchOS 2 works in conjunction with iOS 9, which means that your iPhone should also be running Apple’s latest mobile software for it to work. So make sure you fulfill that requirement before making the big leap. Though the changelog mentions that watchOS 2 beta 5 is a pure bug fix and performance boosting release, but who knows Apple might’ve tossed in a few gems here and there. If that’s the case, then we’ll definitely report back if we find anything interesting. Till then, be sure to update your Apple Watch to the latest version.